There is a hotel in the Nevada desert that has stood guest-less for over 60 years, looming over the once prosperous and bustling boom-town of Goldfield. Aptly named the Goldfield Hotel, this stone and brick behemoth of the desert happens to be very haunted. It was built on the site where two previous incarnations had burned to the ground. Phoenix rising from the dust in gleaming granite and brick glory during a gold-fueled, wild-west heyday. But no sooner than the hotel was built did the gold start to dry up and the town begin to die. And the once-lavish hotel began to fade away. Still, despite a series of fires and floods that have ravaged the town over time, the Goldfield Hotel remains; a little rough around the edges, but virtually unscathed after all these years. The strong, silent type with a mysterious past. Many ghosts are said to haunt the Goldfield, including that of a young woman named Elizabeth, who, as the story goes, was a prostitute that became pregnant with the hotel owner’s child and was subsequently chained to a radiator in Room 109 and left for dead – her baby reportedly thrown into the mine shaft that runs underneath the hotel. But Elizabeth is only one of many spirits thought to roam the long, dark hallways of this stone oasis of sorts. In fact, the hotel is claimed by psychics to be one of 7 portals to the other side. 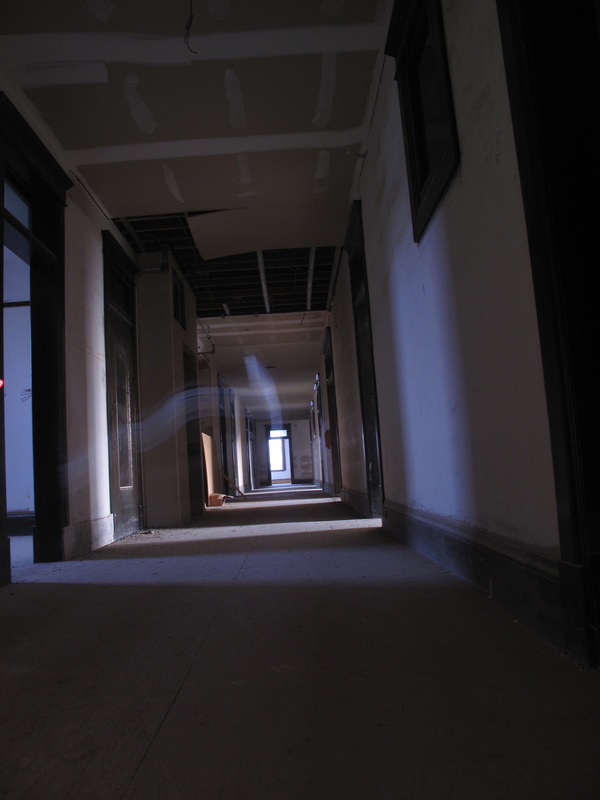 Its haunted reputation has additionally been fueled by TV and film coverage from shows like FOX’s “Scariest Places on Earth” and the “Ghost Adventures” documentary and series. 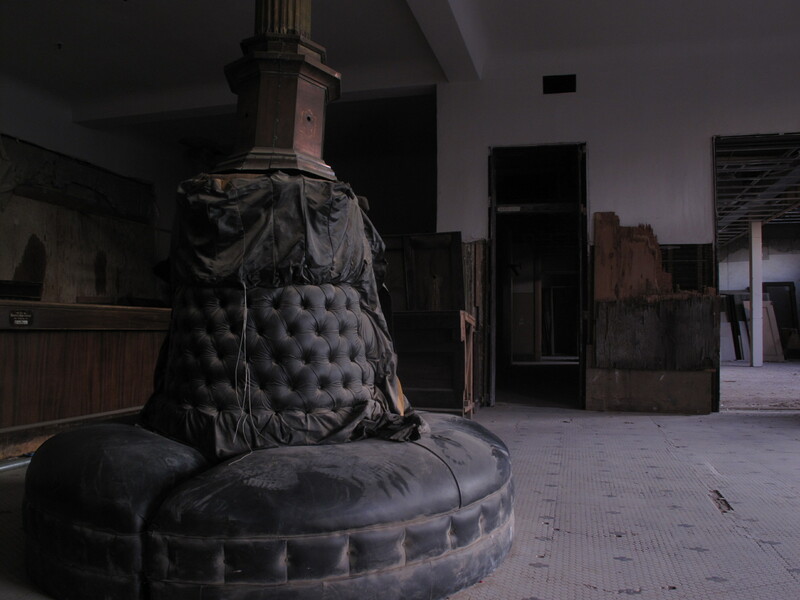 To enter the Goldfield Hotel is to be swallowed up by a living, breathing entity. Gulp. Smack. And there you are, in the belly of the beast. Inside, the air is thick with ancient dust, creating an otherworldly lens through which the outside world disappears. An initial calm gives way almost immediately to an uneasy certainty that you are being watched by a host of unidentified eyes. Eyes that have known this place for a very long time. And you know that not only are they watching you, but they knew you were coming. The quiet air of the lobby is filled with an awkward politeness and you are keenly aware of your own presence – a stranger in a strange land. Walking the long, empty hallways of the upper floors and poking into what were once elegant guest rooms, you can almost hear music from a long gone era and almost see the members of the old west elite who once leisured here. Your eyes can’t help but flitter back and forth on the lookout for a shadowy figure that you half expect to see duck into a doorway. Even a skeptic of the supernatural might find themselves quickening their pace back to the central staircase, having caught an unshakeable feeling that someone is behind them. Last summer in June we met Virginia outside the Goldfield Court House. You guys were at the school. She introduced us to you and made arrangements for us to go into the hotel with you and her. My wife, son, friend and I all had a great experience. Thanks again for the inside tour of the hotel it was awesome. My wife got some cool pictures. We are headed back to to Goldfield in June along with some other old mining towns. Once again thank you, you group is great. Hope to cross paths again in the future. 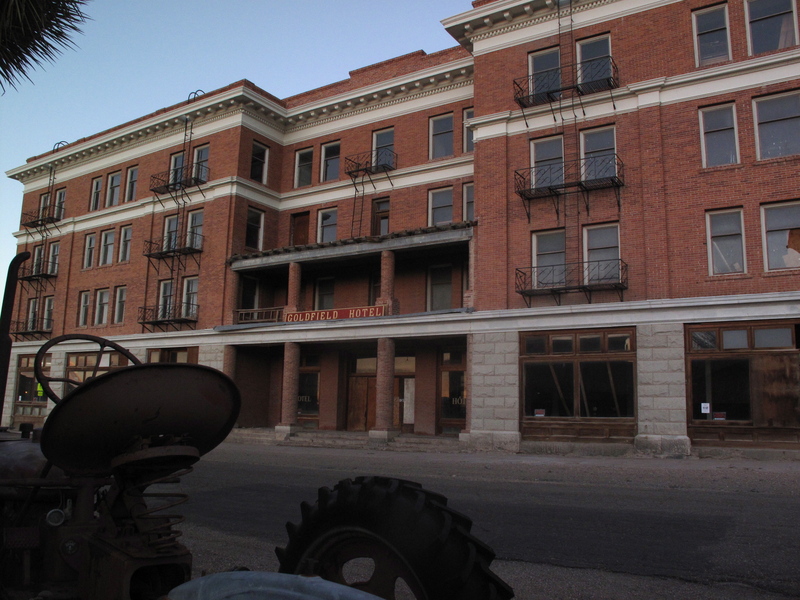 Next Next post: Mizpah Hotel, Tonopah, NV – Old Haunt, New Life.